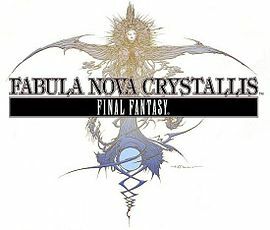 Fabula Nova Crystallis - "Spoilers, spoilers everywhere." Final Fantasy XIII, Final Fantasy XIII-2, Final Fantasy Type-0, and Final Fantasy Versus XIII. Proceed with caution -- you have been warned. Before you start -- this video is required. This is the Fabula Nova Crystallis lore foundation, written by Kazushige Nojima. So, to kick things off, here's a theory I've been kicking around in my head. Feel free to discuss/add/go off on tangents etc. 15|20:09 - <Shamdeo> And the world of the invisible. 15|20:09 - <Shamdeo> Valhalla is in the world of the invisible, and is often referred to or generally implied to be in another plane than Pulse. 15|20:10 - <Shamdeo> However... it's also stated that if the balance of the visible and invisible worlds is broken, everything is destroyed. 15|20:10 - <Shamdeo> Becomes the world of the invisible and the new Valhalla. 15|20:10 - <Shamdeo> Along with Etro to occupy it. 15|20:11 - <Shamdeo> This means that the world that was once invisible... is now visible. 15|20:11 - <Shamdeo> With Etro being featured prominently. 15|20:11 - <Shamdeo> Can you guess what game this might be? 15|20:12 - <Shamdeo> Versus meaning: against, turned, change, overthrow and destroy. 15|20:12 - <Shamdeo> What if... the change between the visible and the invisible world was a cycle? 15|20:14 - <Shamdeo> Maybe Agito was part of that cycle. 15|20:15 - <Shamdeo> For Type-0? 15|20:16 - <Shamdeo> I know that happens in another cycle of the world, and since Arecia Al-Rashia removes the crystals, that ending happened. 15|20:16 - <Shamdeo> I want to know what role Diva serves. 15|20:17 - <Shamdeo> Though Type-0 is ongoing. 15|20:17 - <Shamdeo> So they might hold off on that. 15|20:17 - <Shamdeo> On the big connection. 15|20:18 - <Shamdeo> Though I think Diva has something to do with Agito's -cycle-. 15|20:19 - <Shamdeo> Though Arecia... is very strange. 15|20:20 - <Shamdeo> I don't want to call her a fal'Cie. 15|20:21 - <Shamdeo> Because she would be limited to the world, and she is apparently outside of the cycle. 15|20:22 - <Shamdeo> This idea of a same world caught in a cycle might explain some of the same terminology of l'Cie and fal'Cie. 15|20:23 - <Shamdeo> Yeah it's definitely strange. 15|20:24 - <Shamdeo> Though... a thought kind of occured to me. 15|20:25 - <Shamdeo> Humanity was born from Etro's blood, and she gave them chaos/heart. 15|20:25 - <Shamdeo> Etro has a connection to humanity in a way, being her creation. 15|20:25 - <Shamdeo> It's the same kind of feeling I get when I see Arecia "meddling" with humanity and the crystals. 15|20:26 - <Shamdeo> Etro and Arecia are both outside the -cycles-. 15|20:27 - <Shamdeo> Though I'll have to do more research on that part. 15|20:27 - <Shamdeo> I need to know more about her. 15|20:28 - <Shamdeo> If Lindzei was able to destroy the world... that would make sense about the geography changes. 15|20:28 - <Shamdeo> This is what happens at the end of XIII-2 I think. I know little to nothing about XIII or the FNC in general, but I had similar thoughts before but there was nothing concrete to prove it and it didn't make sense at all but Sham, you've made everything click into place. I was talking with Callum about Etro and I mentioned how there was the balance and what if the fate of the world was to end and that could not be changed, which would bring the Visible World to the Invisible making it the Visible. That was where my idea fell apart because the worlds could only be in balance if there was a Visible and Invisible World and I couldn't figure out what would replace the Invisible World. It would make sense that it is a cycle...but...yeah, there needs to be a True ending. There is still too much info missing to be sure. Eh, no responses. Well here, I'll just paste one of the Analects here like I did in the XIII-2 thread. Children of Hallowed Pulse scour earth, searching substance for the Door. Those of Fell Lindzei harvest souls, combing ether for the same. So have I seen. The Door, once shut, was locked away, with despair its secret key; sacrifice, the one hope of seeing it unsealed. This sounds a lot like XIII-2 in general, though I think my reasoning is pretty faulty. "Children of Hallowed Pulse scour earth, searching substance for the Door." - Sounds a lot like Serah and Noel looking for Fragments to travel through time to find their way to Valhalla and meet Lightning. "The Door, once shut, was locked away, with despair its secret key; sacrifice, the one hope of seeing it unsealed." - This sounds like when Noel stabs Caius and destroys his "heart of chaos", which was also Etro's own Heart, thus killing her and opening the "Door" to the Invisible World. Her song of grief." - The bells that toll are Etro's cries. I agree with Ethy. It sounds just like she described it. Why is Lightning stoned on Etro's throne? Is she the new Goddess? What happened to Vanille, Fang, Snow? Once Etro died did their bodies became normal again(i saw someone saying that.) What is the reason behind Serah's death? I think Noel says something like i killed Etro. So that's because he killed Caius heart but we see Caius okay in the secret ending. Just a few stuff i haven't sorted out. If i play the game i will understand them all. I'm sure of it. We need some closure or DLC or XIII-3 is a reality or the game has something that no one has yet achieved which i really doubt. Now that Etro is dead the world had became unbalanced again right? cause she was the one who gave the people Chaos and the trailer says that people because they hold Chaos inside of them the world was balanced. I think Versus will shed some light to the FNC. What is Type-0's connection? Cid mentions to Class Zero on their way to the Final Battle about how they are creatures born from the Blood of Etro and that they're weak. After the "Armistice" between Byakko, Souryuu, and Suzaku is signed and when the large dragon is above Ingram (Byakko's Capital) it is mentioned that the conference was known as the Fabula Convention and that it was signed in the name of the Gods of Pulse. And how Arecia acts like Etro. There may be more but those are the only ones that I've caught. Anyway...until this game comes out too we can't be really sure. I had to laugh at Hope naming the new Cocoon Buniberzei. Does this thread need the spoiler tags? I figured from the title and what the thread is about, it seems unneeded. *I figured Etro will return because Caius said "The Goddess is dead once again". I think it was that, but the point is, the way he worded it made it seem like Etro had died before and had come back. With Lightning in Crystal status, I believe she is undergoing the transformation into Etro. For one, it's been stated that the FNC games are connected only by mythology. Second, Etro dies at the end of XIII-2... how would she be featured prominently in Versus if it took place after? Well IanM2, the overarching mythology of Fabula Nova Crystallis includes Etro, Lindzei, Bhunivelze, and so on -- as per the the video that was shown at SE1PDP. I theorized that the world of Versus could perhaps be the world of the Invisible/Unseen, but in a different cycle after the world is destroyed. In Final Fantasy XIII-2, it's stated that the destruction of the world has happened many times -- and although the world of Versus may not be -after- this, it may be some other iteration of the cycle. Which is probably how all the games connect. They are all the same world, same place just at different times in that cycle. So we have the XIII/XIII-2 storyline where Etro is seriously weakened by saving everyone from their crystal sleep in XIII, which leads to her eventual death from that choice. The Type-0 storyline were she takes human form and saves some people from a crystal sleep while resetting the world (I'm sure that's probably not completely right, I've been trying to avoid spoilers but some snuck through). And the Versus storyline where.....well all I really know is she still takes the dead and the ability to see the opening of Etro's Gate grants you crazy magical skills. And I just realized something. When Yeul and Sarah see the future, using their power per se, their eyes light up. You know who else's eyes do that, when they use their power? Noctis. Probably Stella and the king too. That can't be coincidence. I know this was posted nearly 2 months ago, but there's a sort-of answer now. So that's because he killed Caius heart but we see Caius okay in the secret ending. Is Caius less objectional than classic "bad guys" in order to unsettle the player? Daisuke Wantanabe, Lead Writer: "This is a very interesting question. Caius is a unique villain throughout the game in that his goal is not to destroy the world, but to save Yeul, and nothing will deter him from that objective. He has unshakeable willpower. This means that he doesn't necessarily appear as a "bad" person. This wasn't so much to confuse the player, but rather to put them in front of a bewildering enemy. Although Caius dies in the final battle, we see him alive in the secret ending. This does not mean that there are multiple versions of Caius that have been manipulating events from a different timeline. Quite the opposite, the Caius that 'dies' in Valhalla (a timeless place) is the same one that we see in the secret ending. His is a paradoxical existence that already knows how the battle ends and will still not stop until he reaches that end. His 'death' only strengthens his resolve, as even this did not alter the course of events. The goddess died nonetheless, which is what he fought for all along." Mog isn't dead, He alive and well. People keep thinking he's dead. Yeah well, with everybody dying at the end of XIII-2, it´s safe to assume that Mog died too. He's not dead. You can clearly hear him when the ship moves. The only one who died was Serah, yeah? I've seen someone say you could hear loud screams, but honestly, I heard no such thing and I've watched it 3 times. sham. your theory just blew my mind.